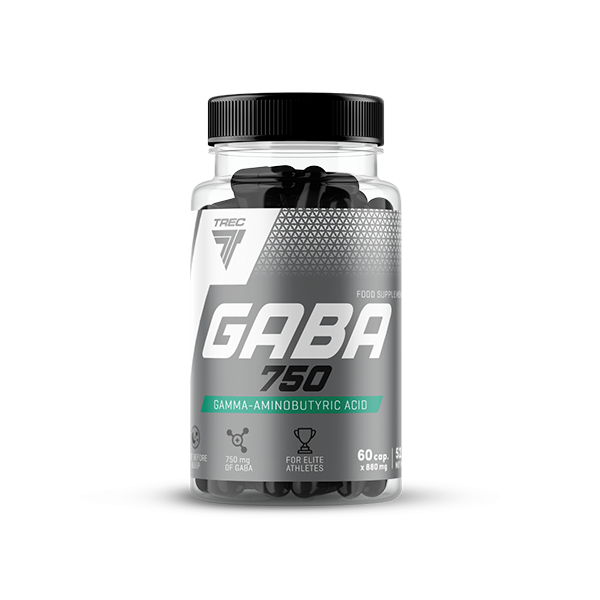 GABA 750 supplements the diet with pure gamma-aminobutyric acid. GABA is an organic chemical compound which because of its structure belongs to the group of amino acids. GABA 750 is a dietary supplement especially recommended to people leading intensive lifestyles, both physically and mentally. Take a single serving of the product ‒ 1 capsule with 300 ml of water. Take 1 serving daily, preferably 30 min. before bedtime. INGREDIENTS: gamma-aminobutyric acid (GABA) (85,2%); capsule shell (gelatine; colour – titanium dioxide); anti-caking agent – magnesium salts of fatty acids.